Photos Taken From Drones Offer A Different Look At Villages And Fields : Goats and Soda The website "dronestagram" is a gold mine of riveting images (think Instagram for drone pics). We picked some of the most captivating shots from the past year. At Goats and Soda we're always watching the developing world. A group of international photographers is doing the same thing — but from a drone's perspective. 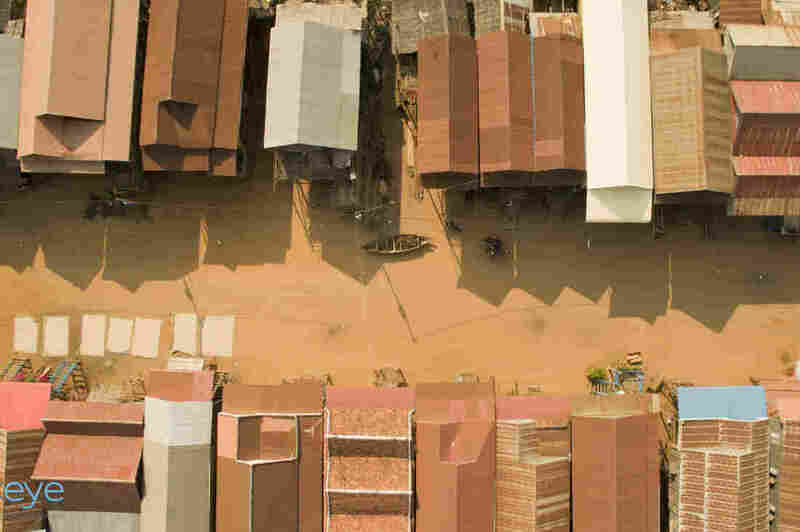 We mined the website dronestagram (think Instagram for drone pics) for the most riveting drone photos of the developing world from the past year. Here are a few of the eye-catching images we came across and the stories behind them. 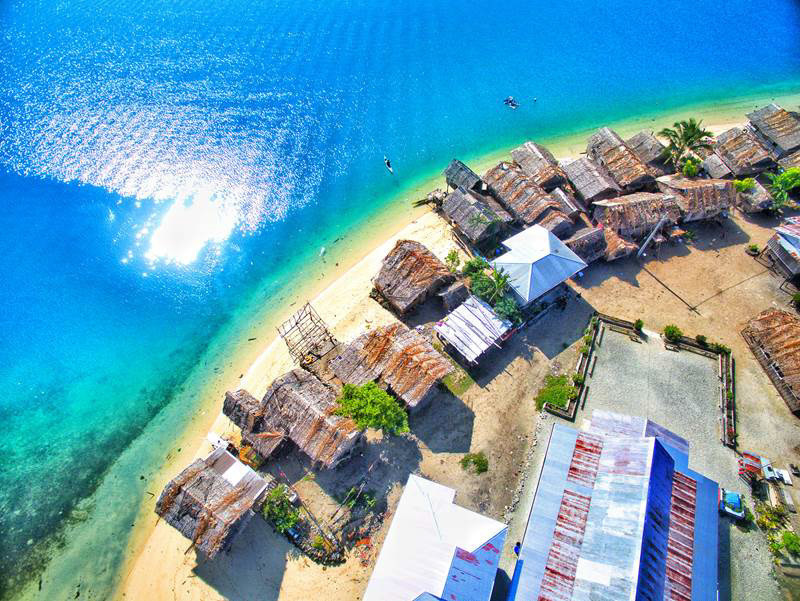 Drone hobbyist Zorik Olangi shot this image of his home island, Malaita, part of the Solomon Islands. Zorik Olangi grew up on Malaita, which is part of the Solomon Islands in Oceania. He's now a postgraduate trainee in obstetrics and gynecology in nearby Papua New Guinea but returns home often — along with his drones, which he flies as a hobby to take aerial photos. "Coming from a rural remote area, I always wondered what my island looks like from the air," Olangi says. He says the village pictured here, Lilisiana, is known for its expert sea navigators and fishermen — and its shell jewelry. In fact, Olangi tells us, shells from this region were used for thousands of years as currency. The homes pictured, according to Olangi, are built from mangrove trees found in nearby forests and have roofs stitched from palm leaves. He says they could be built so close to the lagoon's edge because the waves break far from the shore. Over the years, Olangi has seen more homes built out of modern materials and families placing a greater emphasis on education. His big fear for his island is climate change. "My only worry is that the sea levels are rising and these villagers will surely be affected." Professional photographer and videographer Szabolcs Ignácz captured this shot while on assignment for the World Wildlife Fund in his home country, Romania. 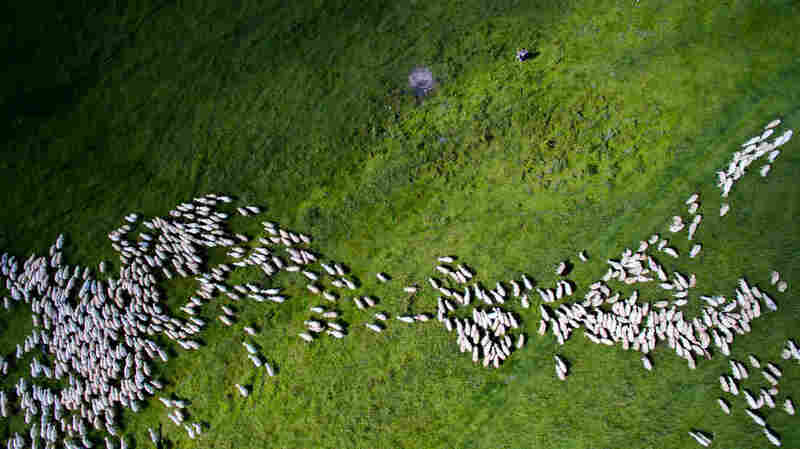 He passed this herd of sheep along the road in the village of Marpod, in Romania's Sibiu County, and launched his drone to take this photo (and some mesmerizing video, which can be seen at his website, DroneMob). Ignácz says Marpod is in the heart of Transylvania, where traditional Saxon houses nestle in the mountains. "I might compare it to the Shire from Lord of the Rings," he says. Many of the 800 or so residents are farmers, Ignácz says, noting that some have found success moving into organic farming and tourism. 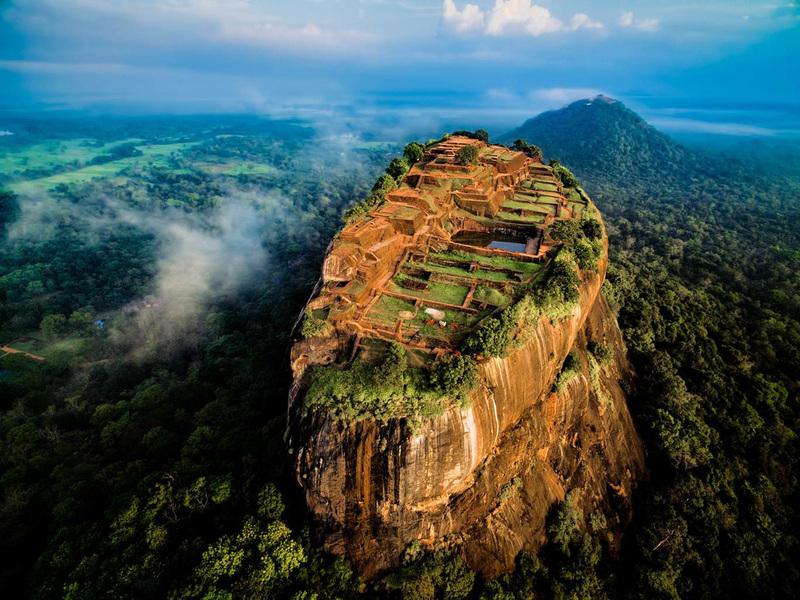 Jerome Courtial, a French travel and aerial photographer based in London, traveled to Sri Lanka with the intention of photographing the ancient palace and fortress complex of Sigiriya. Known as "Lion's Rock," the UNESCO World Heritage site towers above the surrounding jungle. To launch his drone from the ideal place, Courtial tells us, he hiked through dense jungle, surrounded by hostile monkeys. To capture this image of the ancient Sigiriya palace and fortress complex in Sri Lanka, drone photographer Jerome Courtial had to position himself deep in the jungle. This image was captured by Christopher Honglin of Mauritius while on a trip to Cambodia with his girlfriend — and his DJI Phantom 3 drone. When the couple visited Tonlé Sap River region, Honglin says: "Kids were in awe at the sight of the drone. We wanted to share how their village looked from the top. They couldn't believe their eyes." For more drone images from around the globe, visit dronestagram.